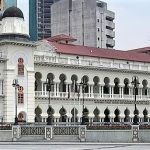 (Morning Star News) – On Monday (Feb. 26) the highest court in Malaysia is scheduled to hear the appeal of four people who wish to have their conversions from Islam to Christianity legally recognized. The fourth person, Syarifah Nooraffyzza, is an ethnic Malay raised as a Muslim. 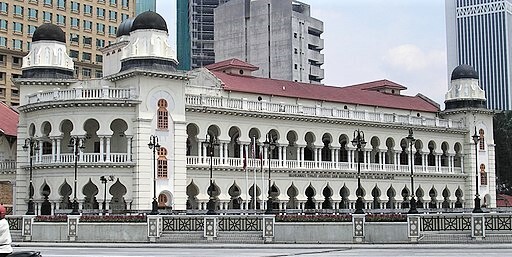 According to the Malaysian Constitution, all ethnic Malays are Muslims – a principle upheld in the case of Lina Joy, who was denied her right to leave Islam in 2007 and convert to Christianity. Syarifah filed a document stating that she no longer practices Islam, and she was baptized in 2009, according to published reports. She is asking to change her identity card from Muslim to Christian and to change her name to Vanessa Elizabeth. She as well as the other three people are “still Muslims on papers,” according to an appeals court. Because they are considered Muslims, they need to get “letters of apostasy” (the literal translation of the Malay surat murtad) from a Sharia (Islamic law) Court. The Sharia Court in the state of Sarawak has held that it has power to certify only people converting to Islam, not from Islam. 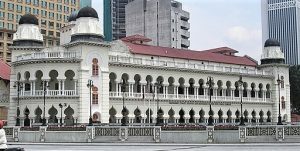 The civil courts have stated that Islamic religious matters are handled by the sharia court system, which is roughly parallel to the civil system. This leaves people wishing to leave Islam in legal limbo. In Malaysia children born to Muslim parents are considered to be Muslims, and a non-Muslim who wishes to marry a Muslim must first convert to Islam. The case could be critical for those wishing to convert out of Islam in the state of Sarawak and the whole country, and the attorney asked for prayer for the pivotal question of religious freedom in Malaysia. The court is not expected to immediately make known its decision when it rules on the appeal. Malaysia ranked 23rd on Christian support organization Open Doors’ 2018 World Watch List of the countries where it is most difficult to be a Christian. Malaysia’s population is about 61 percent Muslim, the official religion is Islam, and there are signs that hard-line Islamist influences are growing. With Islam as the state religion, the government provides financial support to Islamic establishments and enforces the tenets of Sunni Islam. While freedom of religion is guaranteed in the constitution, legally a Malay must be a Muslim. State governments have fined or imprisoned Muslims who have tried to convert out of Islam. The federal government does not usually take up legal disputes over conversion, leaving it to the courts, but secular courts have ruled they do not have the authority to decide such cases and refer them to Sharia Courts. These Islamic courts have unanimously ruled that all ethnic Malays must remain Muslims. Non-Malays who have converted to Islam also are not allowed to leave the religion. Thus converts find themselves in a legal bind; civil courts say conversions come under the jurisdiction of the Sharia Courts, but converts believe they are not subject to them because they are no longer Muslim. Muslims who have attempted to convert have reportedly received death threats. Any country that forbids apostasy from Islam is obviously fearful that Islam is so inferior that it cannot stand on its own merits. If you believe Islam is the best or only true religion then let it prove itself to be so and allow people to leave it freely. It’s not a solution to hinder people from doing what they believe in. I wonder if being a Muslim is just having a paper to certify it or if it is practicing all rituals done by Muslims. What is the whole point of forcing someone to remain in a certain thing if he is not comfortable with it? Muslims who do this must think twice before taking actions. And if they believe that their religion is free, then it should be voluntary not forced.